Patients with Chronic Conditions Are OK With Off-Label Drug Promotion: If FDA Allows It, Will Pharma Do It? 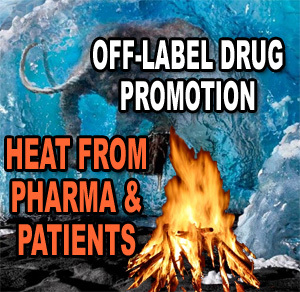 Patients with Chronic Conditions Are OK With Off-Label Drug Promotion If FDA Allows It, Will Pharma Do It? In the notice for this meeting, FDA posed several questions for which it is seeking input at the hearing and afterward. Among these were two questions regarding off-label promotion targeted to patient and consumer audiences. Results from three different surveys were presented at the hearing on November 9, 2016. Each survey addressed off-label direct-to-consumer (DTC) promotion of drugs by the pharmaceutical industry. This article summarizes the results of these surveys. Ethical Off-Label Drug Promotion: What Would It Look Like?